Do students really know how much time they spend staring at a screen or using technology? Well, according to Pew Research Center, teens spend an average of nine hours a day online in some form, compared to roughly six hours for those aged eight to 12, and 50 minutes for kids between 0 and eight. A startling 44% of teens claim they check their phones as soon as they wake up for messages or notifications. 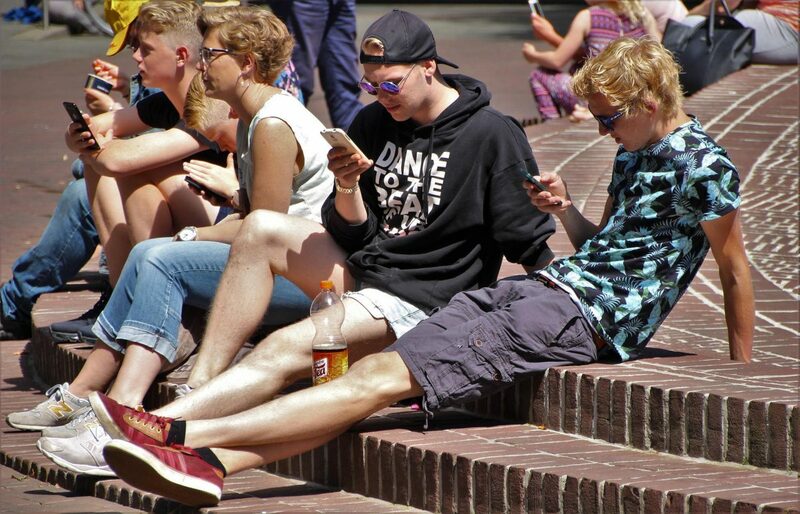 Some teens are worried about their technology consumption. According to a study done by Pew Research Center, 60% of teens—those between the ages of 13 to 17—say that spending too much time online is a “major” problem facing their age group, with about nine in 10 teens actually considering it a problem. More than half of teens (54%) admit they spend too much time on their cell phones, and 41% say they overdo it on social media. Does this issue affect one gender more than the other? What emotions does separating the teens from their technology bring about? Girls are more likely than boys to say they spend too much time on social media (47% vs. 35%) while boys were four times as likely to report spending too much time on video games (41% of boys vs. 11% of girls). The top emotion teens associated with not having access to their phones was anxiety (42%), with girls once again reporting more anxiety from phone deprivation than boys (49% to 35%). Are the parents worried, and what are they doing about this issue? About two-thirds of parents (65%) say they worry about their teen spending too much time in front of screens, and one-third say they worry a great deal. More than half of the parents surveyed (57%) say they put limits on the amount of time their kids spend online, or on their phones, with approximately 25% saying they often do this.